PT Berdikari (Persero) - Berdikari is a rapid growing state-owned company in Indonesia, running business in the livestock industry. Headuartered in Jakarta, Berdikari has core business competencies on 4 business pillars, comprise of Cattle farm, Chicken farm, Slaughterhouse and meat shop. 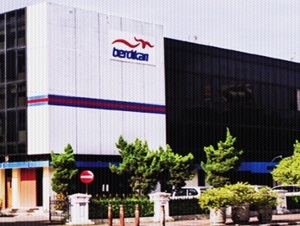 According to information found in Berdikari's website as cited by JobsCDC.com, Berdikari was founded in 1966 and initially registered as PT Pilot Proyek Berdikari. The name of PT Berdikari (Persero) officially launched in 2012. Berdikari was assigned by the Ministry of State-Owned Enterprise as state-owned company with strategic assignment to assist the government in providing quality protein food. Berdikari's head office is registered at Jl Medan Merdeka Barat No 1 Jakarta 10110. At present, Berdikari has 4 subsidiary companies and 1 affiliated company; PT Berdikari United Livestock, PT Berdikari Meubel Nusantara, Berdikari International Pte, Ltd, Berdikari Logistik Indonesia and PT Sampico Adhi Abbatoir. Minimum 10 years of experience in the relevant field. Have experience as CEO, Group Head, Senior Manager or General Manager in the relevant field. Minimum 7 years of experience in the field of marketing, retail, business/trading and agribusiness or other relevant field. Have experience as Department Head or Manager in the relevant field. Minimum 5 years of experience in the field of taxation. Have experience as unit head, supervisor or assistant manager. Minimum S1 degree from a reputable university, both local or overseas. Have integrity, nationalism, honesty, good morals and an impeccable personality. Have a good leadership, team work, communication, cooperation and negotiation skills. Never been discharged with disrespect as an employee. Never been a suspect or accused of a criminal act, drug dealers and users as evidenced by a stamped statement. JobsCDC.com now available on android device. Download now on Google Play here. Please be aware of recruitment fraud. The entire stage of this selection process is free of charge. PT Berdikari (Persero) - Open Hiring Program Berdikari January 2019 will never ask for fees or upfront payments for any purposes during the recruitment process such as transportation and accommodation.